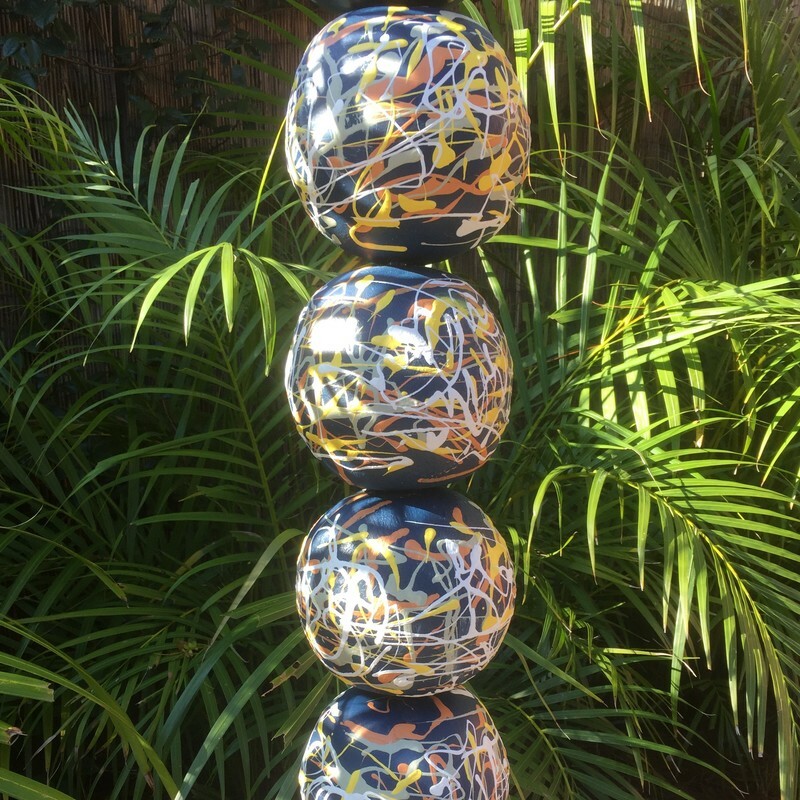 12cm ceramic spheres on various length poles to 1.8m. 15cm ceramic cubes in a 1m "stack. A modern touch (dare I say Kardashian?) 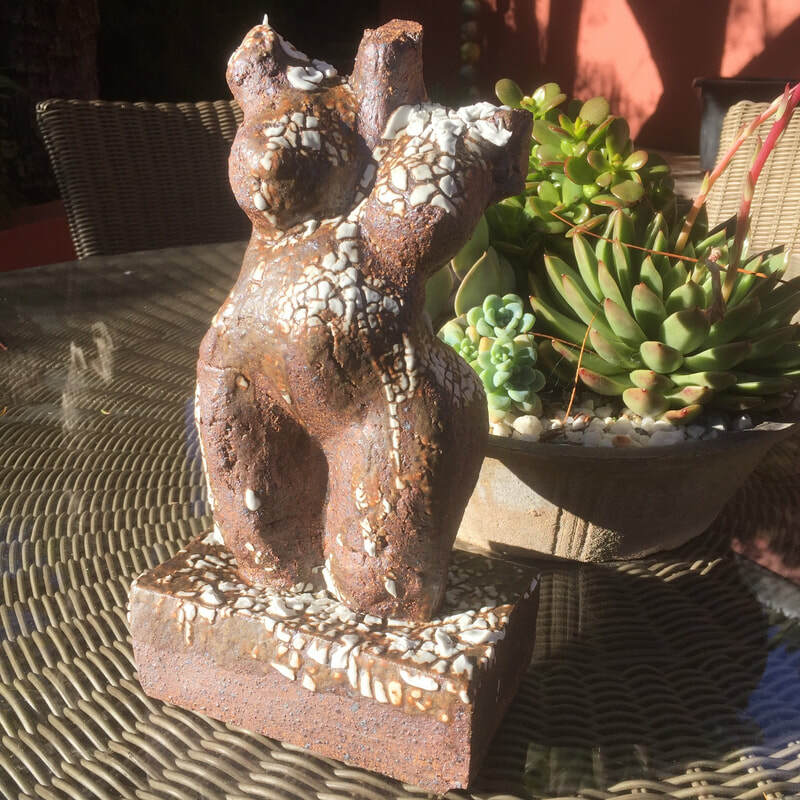 to The Venus of Willendorf, reportedly made in 30,000 BC. 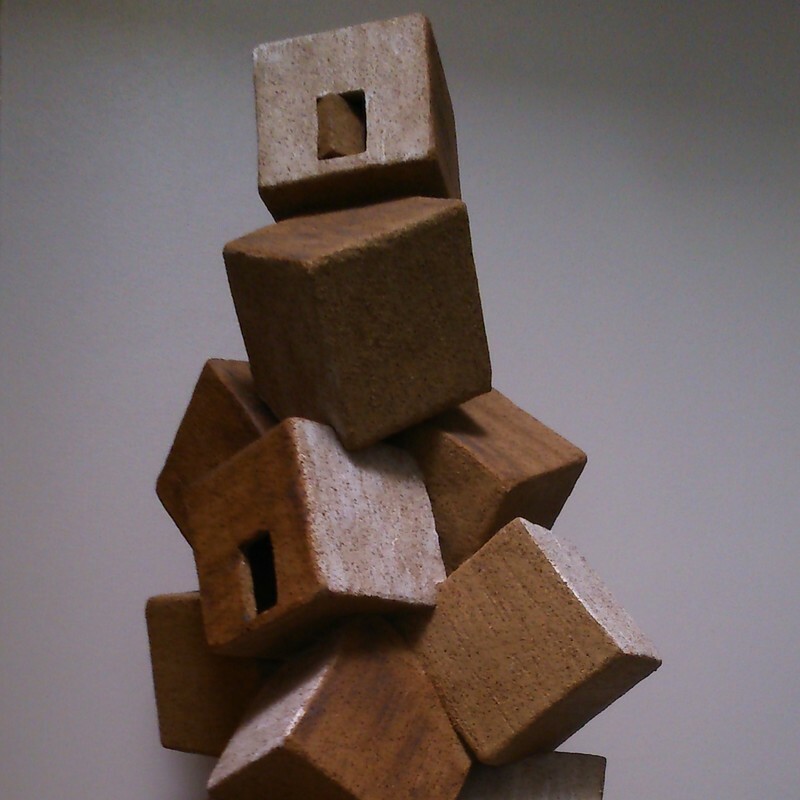 This sculpture attempts to depict the cubist multiple views normally done in 2D painting.